ADHD is correlated to prenatal fluoride exposure according to a recent study published by the Environmental Health Journal in 2015. According to the authors, water fluoridation prevalence is significantly positively correlated with state prevalence of clinically diagnosed ADHD. Fluoridation is the addition of fluoride to a public water supply. The purpose behind fluoridation is to combat tooth decay. The U.S is one of the most widely fluoridated countries in the world–about 76% of the American population is ingesting fluoridated water. The majority of fluoride in water is artifically added. In less common cases, water can naturally contain fluoride . The amounts of fluoride ingested by the typical American are between 1.5 and 6 times higher than the recommendations put forth by the CDC (this includes other sources of fluoride such as toothpaste). Notice the white streaking on the front left (anatomical right) tooth. 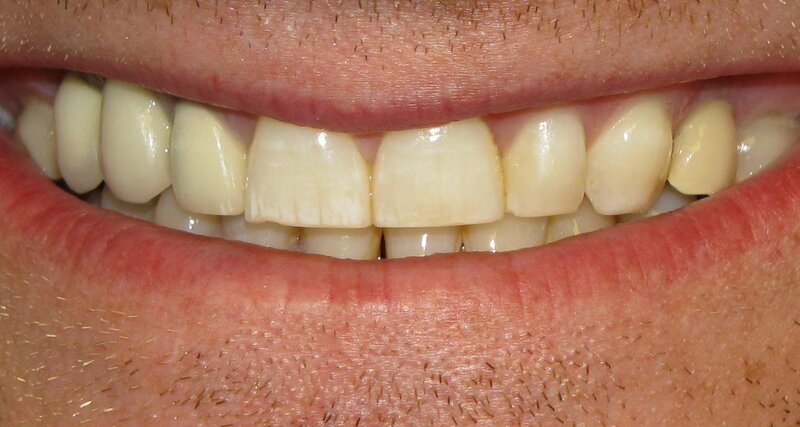 This is a characteristic of dental fluorosis. Decreases and increases of serotonin levels in various regions in the brain (if you really want, feel free to check the study yourself to see which regions). Norepinephrine levels are decreased in particular regions. These changes negatively affect arousal, attention, pain tolerance, learning, and memory. 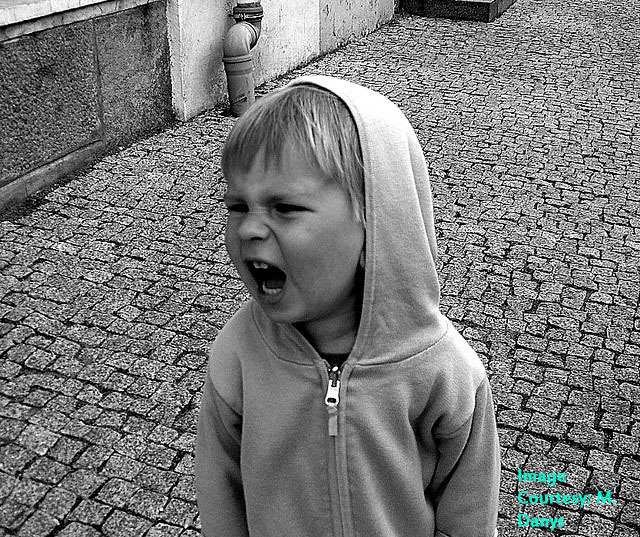 Prenatal exposures to fluoride have also been shown to delay behavioral development. Children who were exposed to fluoride levels slightly above the U.S standards were reported to have decreased reaction times and concentration levels with reading and writing. Young children exposed to high levels of fluoride had an average IQ that was 7 points lower compared to children without high fluoride exposure levels. Fluoride has overall been found to harm a child’s cognitive development that cripples attention span, concentration, and IQ. I am not posting this article to debate the effectiveness of fluoride in preventing cavities. The point here is to make people realize that fluoride is used far too much in both water and dental products. 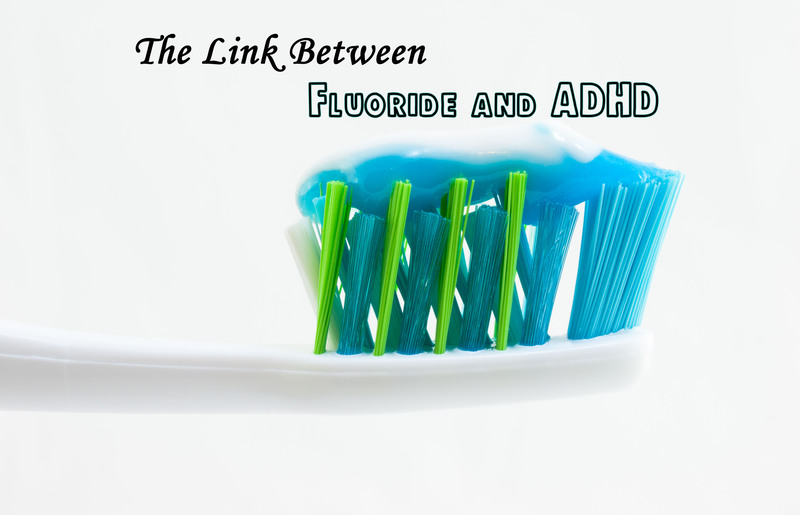 Since flouride has been strongly correlated to ADHD, there is no reason to use fluoride in water and I will tell you why. Fluoride is not an ideal preventative measure against cavities. Instead of putting something artificial in our body to prevent tooth decay, we should consider keeping something out of it: sugar. A study published by BMC Public Health found that sugar is the only cause of tooth decay . Feel free to look at the study yourself if you do not belieive it. So because Americans ingest large amounts of fluoride on the norm, they should have low rates of tooth decay right? Not even close. Americans have a notoriously high sugar intake from soda, fruit juice, and a number of other food. In fact, Americans on average consume 156 pounds of sugar a year. Keeping this in mind, 92% of Americans have experienced tooth decay. Only 2% of Nigerians, who have almost no sugar in their diet, have experienced tooth decay . Is fluoride the best way to prevent tooth decay or is a campaign to reduce sugar consumption the real solution? Do you think it’s reckless to continue water fluoridation considering it is not preventing the problem and potentially causing neurological harm to children? My next article will cover ways that you can avoid fluoride exposure, particularly for those who are worried about prenatal exposure or their children. Please Share This to Spread the Word!